Gelato is a cross between Thin Mint Girls Scout Cookies and Sunset Sherbet. It is a top shelf strain with features that make it difficult to pass by. 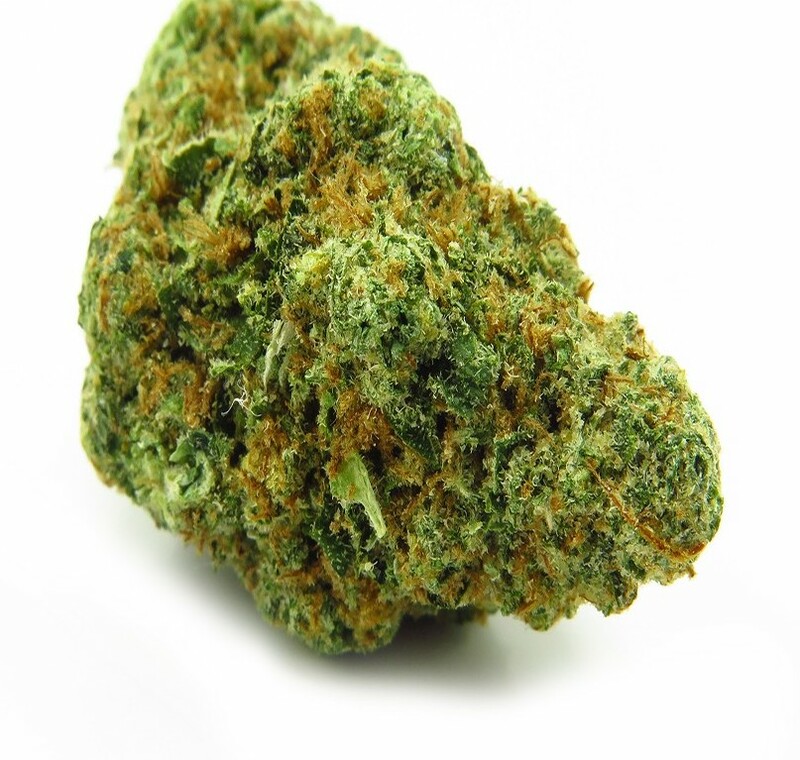 It has relatively small but thick dense buds which adhere in a compact structure typical of most indica strains. Gelato has deep green leaves, highlighted by deep purple hues. Darting through its buds are fiery orange pistils that makes it more physically appealing. It has a rich layer of trichomes but appears less frosty than most other indica hybrid strains. When fully cured, Gelato strain’s flowers release a strong citrus smell which was inherited from its parent Sunset Sherbet. When ground, the flowers give off an aromatic note with hints of earthiness. It has a smooth smoke which although thick, has a soft, creamy taste which is quite pungent on the exhale. Gelato’s psychedelic effects hit the user fast; its potency is usually felt after 2 or 3 tokes. It delivers a cerebral rush that is balanced by a mellow body buzz. Its mind-altering effects compel the smoker to temporarily adjust to their new world of warped reality. Don’t expect to have the energy to carry out hard or complex tasks while using Gelato. You can opt for other activities like watching movies or listening to music. Its amplified psychedelic effects such as time dilation and sound sensitivity will leave you floaty and comfortable. Gelato has a powerful anesthetizing effect. Medically, it is used to treat chronic pain and aches, including migraines and headaches. The strain has extreme mood-lifting effects that make it ideal in the treatment of psychological conditions such as PTSD, depression, and anxiety disorders. It is also soothes patients who often experience nausea and loss of appetite..
Gelato Cannabis Strain is amazing. Highly recommend. Best stuff for chronic pains!!!!!! !